In this week’s TPoI, The Xbox One X sells 80,000 units in the UK during its first week, EA DICE receives community backlash over microtransactions in Star Wars: Battlefront II, and Hasbro makes buyout offer on rival company Mattel. Microsoft’s head of Xbox Games Marketing, Aaron Greenberg, announced in a tweet on Monday that the Xbox One X has sold incredibly well in the United Kingdom. VG 24/7 reports that the system was able to sell almost 80,000 units in the UK over its first week alone. Gamesindustry.biz highlighted this number as similar to the Nintendo Switch’s first week of UK sales and much higher than the PS4 Pro’s initial sales numbers in the UK. Forbes speculated that the Xbox One X’s high resolution output and 4k ready titles are driving consumers to pick up the system over competing products despite it’s higher price point. A day before the game’s release on Friday, Electronic Arts announced that they will temporarily disable microtransactions in Star Wars: Battlefront II until they land on a method with which fans are happy to purchase additional gzed their complaints to the developers. Kotaku reports that the EA DICE team first tried to remedy the solution by cutting the progression currency needed to unlock characters but have decided to completely rework the system following even more community dissatisfaction. GameRant speculates that EA received pressure from Disney after the game received negative complaints from countries with strict gambling laws due to the use of in-game loot boxes. The company stated they are currently researching how consumers would rather be served content and how they can adapt the system to work better for gamers. The popular toy company Hasbro Inc has reportedly made a takeover offer for their rival company Mattel Inc, which would have the makers of Barbie and G.I. Joe toys working together for the first time. 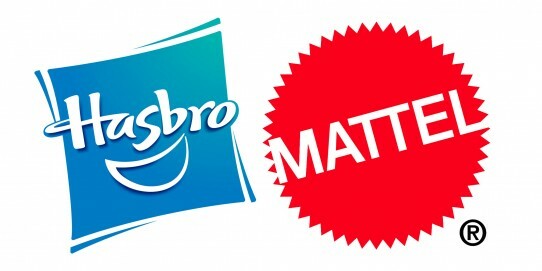 The Wall Street Journal reports that Hasbro made the offer in early November and that the terms of the possible deal haven’t been made known to the public as of yet. While Reuters reports that Mattel has rejected the initial offer Hasbro made, the outlet featured a statement from Mattel’s CEO Margaret Georgiadis, who said the company is looking to pursue further negotiations before entirely rejecting the proposal. USA Today reports that the merger of these two iconic companies may be in response to the rise of tech-oriented toys and the decline of major toy retailers like Toys R Us, which recently filed for bankruptcy.